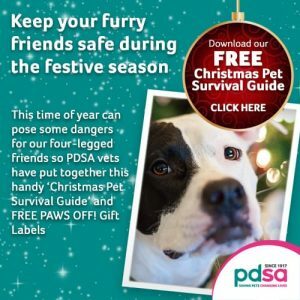 PDSA is giving away free Christmas Pet Survival Guide. This time of year can pose some dangers to our four legged friends, so PDSA vets have put together a handy Christmas Pet Survival Guide. Click on “GET IT HERE” button and then follow instructions given above to get this free guide today.